Home / STORE / Animals. 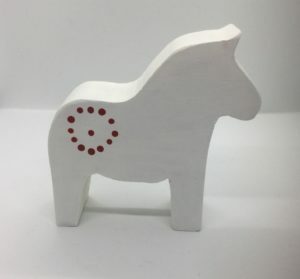 / Dala Horse. These charming Dala Horses are always eager and helpful when the Nisse & Tomte have heavy work to do. They are either red with white decoration or White withred decoration. A beautiful centrepeice on thier own or with other decorations. 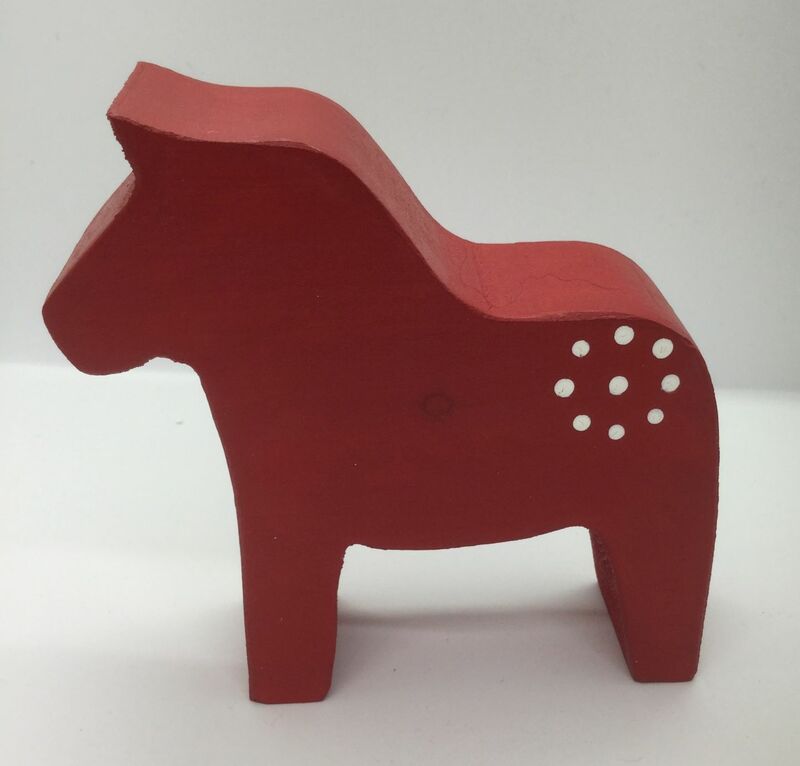 Wooden Dala Horse approximately 13 x 12cm.